For instructions on how to include Flickr photos within camera-wiki.org articles, please see the help page Adding images. 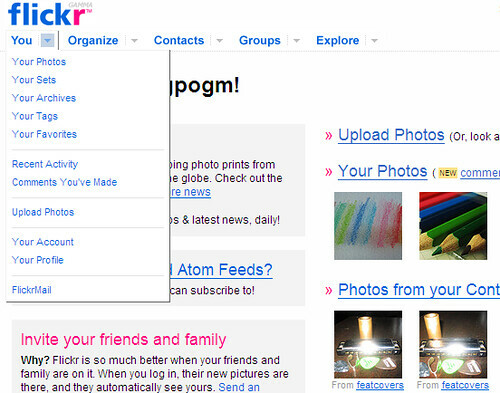 Flickr, launched by Ludicorp in February 2004, is a photo-sharing website and online community for photographers. The service has had over 5 billion uploads (at January 2011) and is widely used across the globe as a photo repository. Due to the popularity of Flickr, Yahoo! acquired Ludicorp and the services the company controlled, progressively incorporating Flickr into Yahoo! 's services. Since January 2007 all members have been required to use a Yahoo! account to log into Flickr. Camera-wiki.org has its own public Flickr group with thousands of images already added. If you have images of cameras or photographic gear you would like to contribute to the cause, please submit them. To make your photos discoverable in searches of the pool, we ask that they be labeled with descriptive titles, captions, and tags. If your images are licensed as "all rights reserved," we will interpret your adding them to the pool as permission to display them in any current or future Camera-wiki.org article. You can also contribute images under the Creative Commons licensing of your choice, which gives more flexibility in how they can be used. Either way, you do not relinquish your copyright. This page was last edited on 24 February 2012, at 21:40.